The look of hide isn’t just for the floor throw in a bachelor pad anymore. Kyle Bunting has designed some pretty amazing patterns of hide that are applicable for wall coverings or floor. 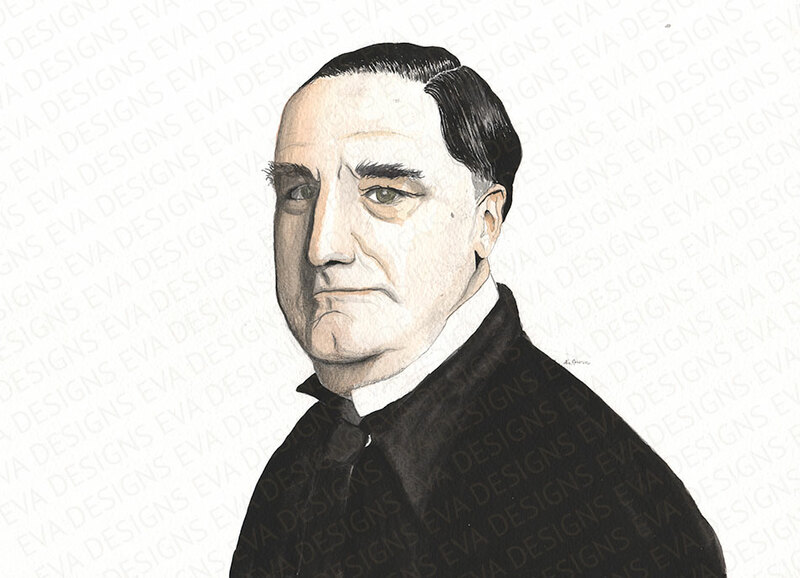 The Mr. Crowley as shown above in cream adds a wonderfully earthy texture to this wall. 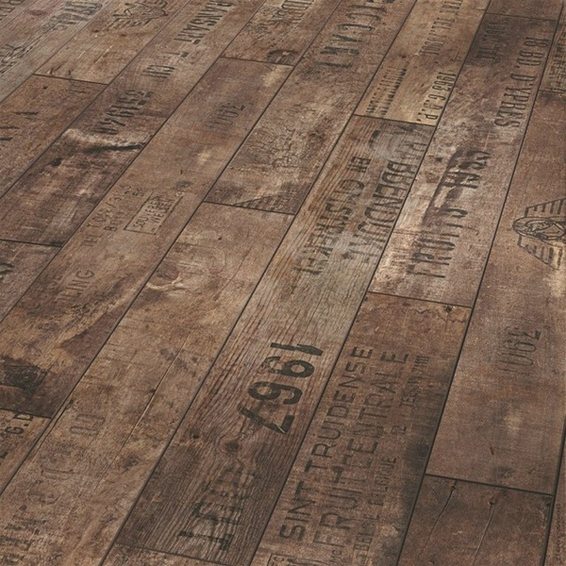 This wine box crate inspired floor line by European based Parador is truly inspiring! The Wine and Fruits laminate floor collection is a nod to the repurposed looks we’ve noticed. The interesting stampings from different vintage crate samplings are an incredible way to add a unique texture to any room. Spot on! I have been looking for a cheetah print rug for so long! And there you were all along in your gorgeous spotted fibres. 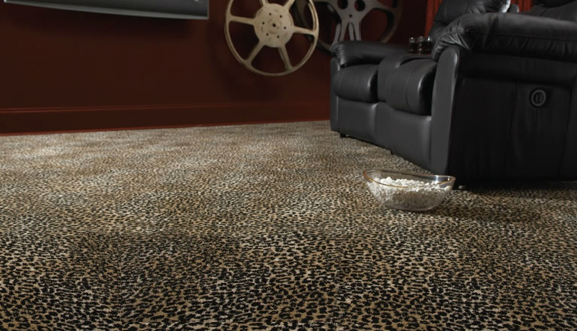 Stanton Carpets actually has an entire line of animal prints for carpet as hot as this little number above called Lake Jaguar, like bagira and serpentine. What I’d really like to do? Cut it up for stair runner and have it bound along the edges in black for a punch. This rug sample just came in from Surya! If any room was looking for a punch of texture, this certainly is a great way to do so. Each strand is about as thick as your pinky finger, so the scale is very interesting. 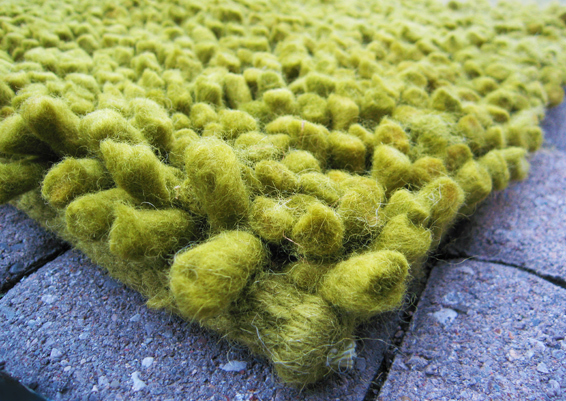 The Aros rug is made of 100% New Zealand felt wool. 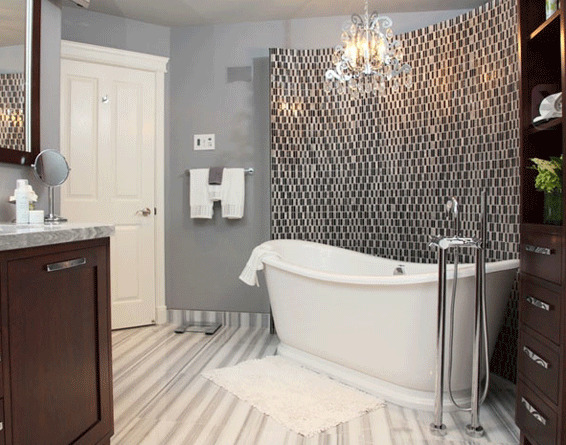 Notice the floor of this spectacular bathroom designed by Glen Peloso. These square tiles by Antica are a gorgeous stripped mix of greys and white and they are a very fresh and contemporary version of the traditional Carrera marble stone tiles. POW! BOFF! BAM! No, you aren’t reading onomatopoeia’s from a Batman comic, but these would be the sounds of colour and pattern coming to life from an Amy Butler Rug. 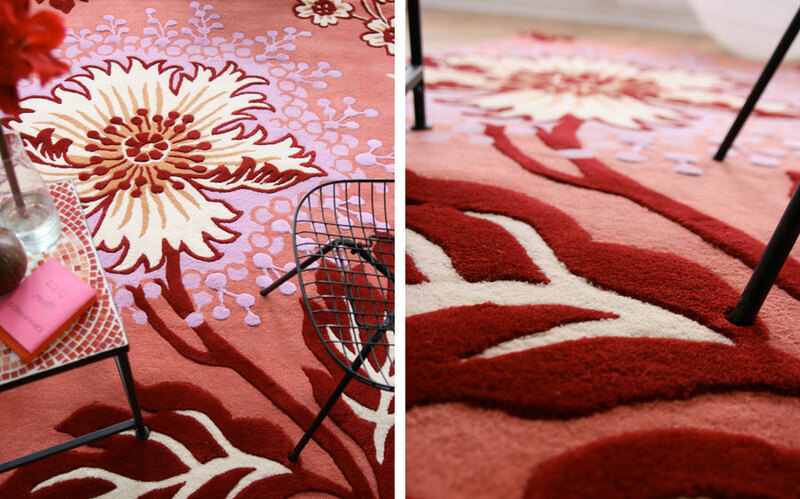 Each pattern of these hand-tufted rugs are bursting with vibrancy. Gone are the wash of blah blah neutral throw rugs, kick it up a notch and live alittle, and for goodness sake add some much needed colour in your life. Oh my, these rugs do get me going don’t they? This hot number is called Caracas. Artistic Tile carries an irresistible interlocking stone mosaic tile line called “Chateau”. 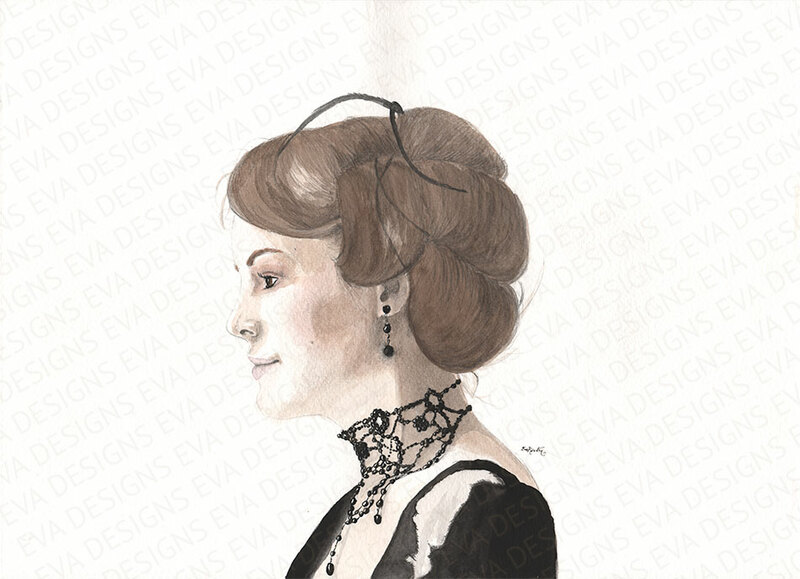 There are four styles available, this one is named Danse Blanc. The scrolling coils of marble seem to defy the very properties of cold stone. 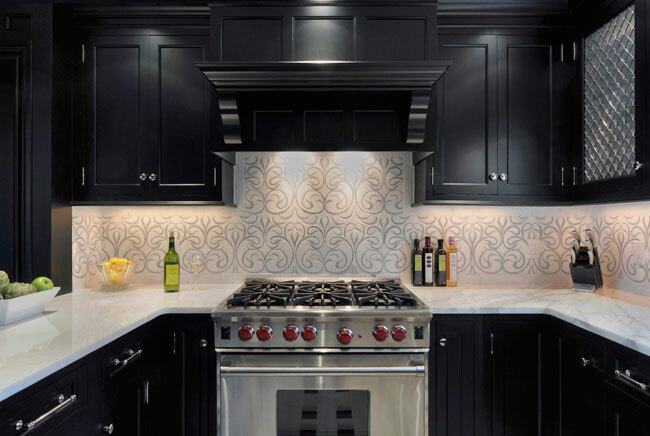 The flawless patterns are achieved by their modern technology of waterjet to produce a perfectly intertwining tile. 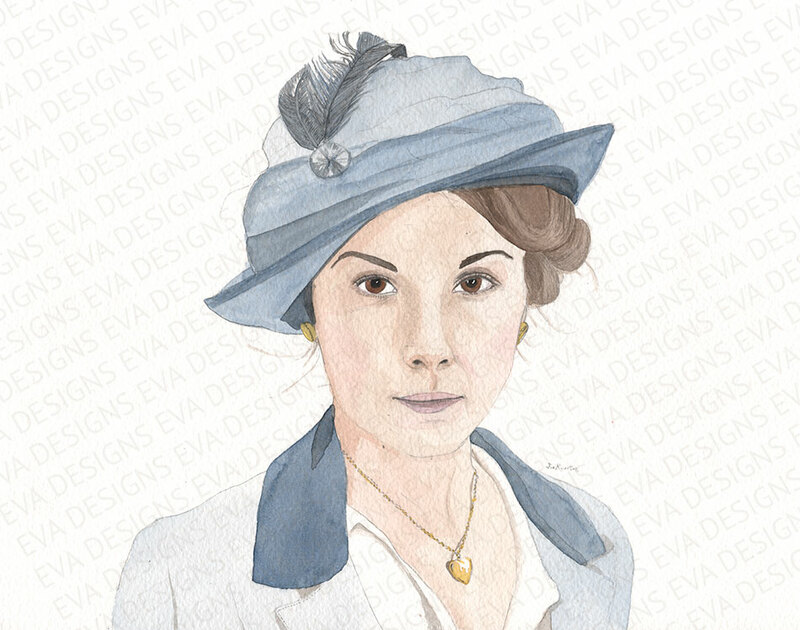 Made to order, these custom tiles can be ordered in other tones and stone combinations. New on my radar is a fantastic company; Preverco. Preverco has one of the most versatile product lines available allowing you to choose plank size, hardwood to engineered, and stains to suit all levels in your home. And this hardwood has made me super excited, check out the Zebra 5 3/16″ plank hardwood, it is outstanding! 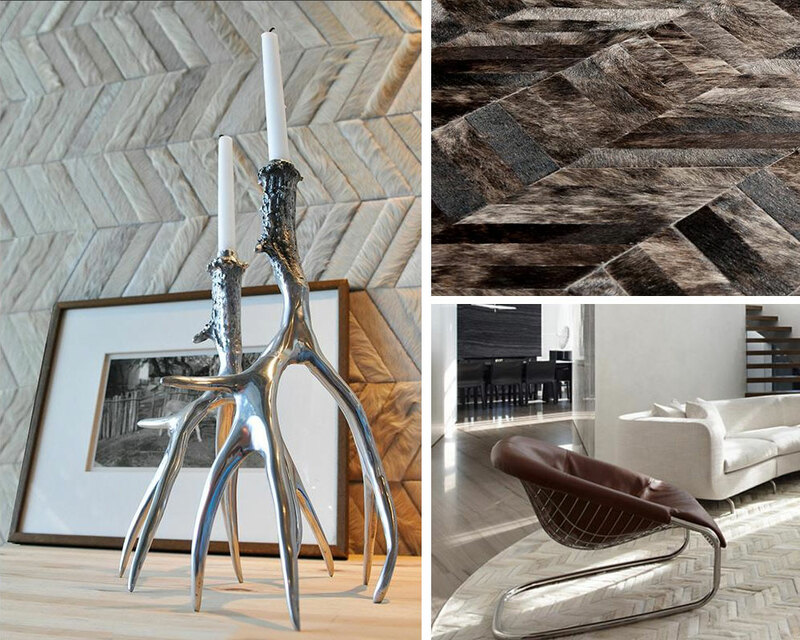 It is no wonder this product is winning the praise of fellow designers; this floor is HAUTE! The red oak flooring is striking with rich black graining, and a white all over stain. Not for the faint of heart, this floor hits a high note with contemporary and fun-traditional design. Picture lots of black paired up with this! I am seeing a trend leaning toward getting back to grains, and why not with domestic, local wood. Well done Preverco. Liquifloor is a tough new floor tiles consisting of colored liquid sealed into transparent tiles. When pressure is applied by walking across the floor, the liquids literally move and swirls around your feet. Choose from a wide range of colors and color combinations from subtle pastel shades to the brightest reds, yellows, greens and a dazzling selection of metallics by Café interiors. 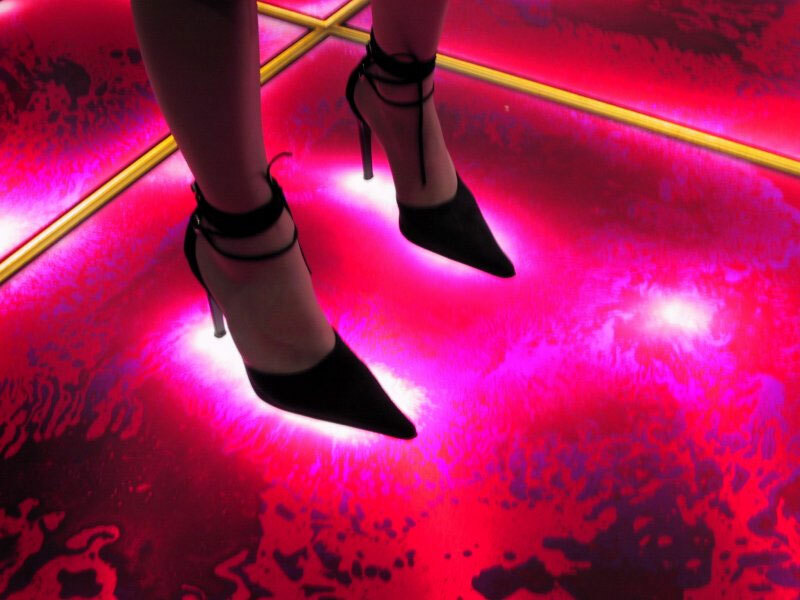 This floor would be fabulous in fun commercial applications.